Last week was half term so I found myself taking a week off from recipe development to recharge my batteries. Sometimes you just have to take your foot off the pedal or you run out of gas! So with renewed enthusiasm and the sun’s rays beating down I decided it was high time I developed an ice lolly recipe. These Strawberry, Banana & Custard Ice Lollies almost developed themselves as they were ingredients I had to hand and which needed using up. I’d bought strawberries to have for dessert the previous day but the family plumped for apple pie and custard instead. So with the leftover custard and unused strawberries I decided to add some banana for a creamy texture and flavour and added melted chocolate and sprinkles for that classic Fab look! The trick with the chocolate coating is to add any flavourless vegetable oil so that the chocolate doesn’t crack while it’s in the freezer. You also need to be really quick when applying the sprinkles as I found myself having to double dip my first attempt as the chocolate sets so quickly! 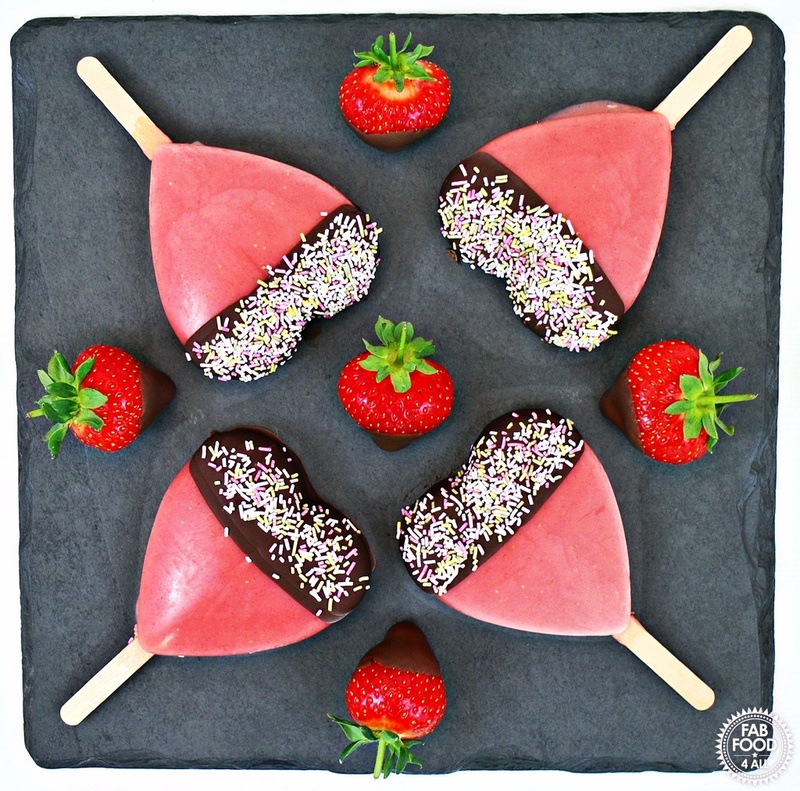 These Strawberry, Banana & Custard Ice Lollies are bursting with creamy, fruitiness and far healthier than any shop bought ice lollies. Plus they are so quick and easy to make that there really isn’t any excuse not to make your own ice lollies! If you are making them for small children then I would use smaller ice cream moulds as they are quite filling. Better still get your children to make them (with supervision). We enjoyed ours as a dessert and I think they would be great to have at a BBQ to impress your guests! 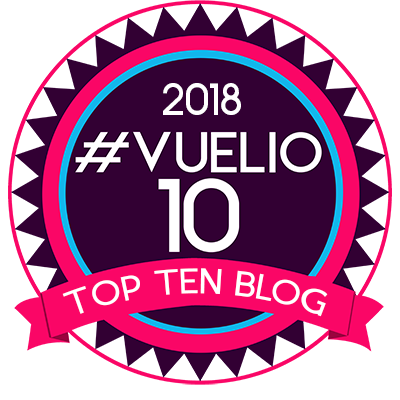 If you’re admiring the shape of my ice lollies then you can find out more about the moulds in this review! 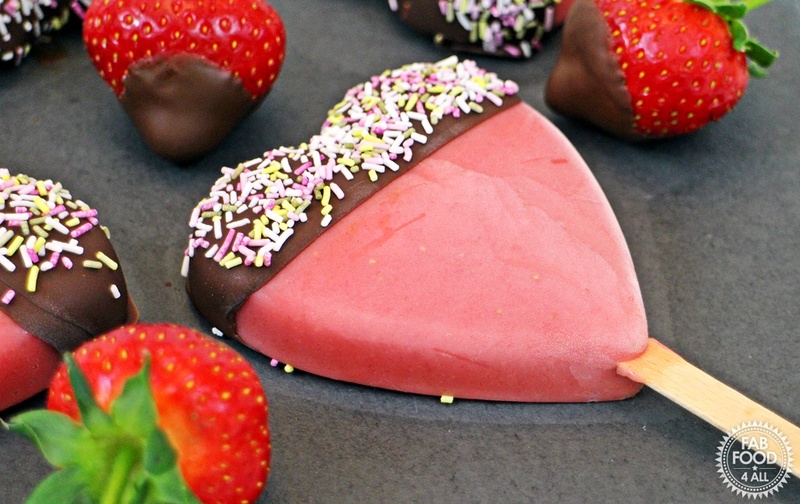 Strawberry, Banana and Custard Ice Lollies are a creamy, fruit, healthy treat that young and old will love. Place the strawberries, banana, icing sugar and custard into a blender and blend until smooth (I use a stick blender). Taste and add more icing sugar if needed and blend again. Pour into 4 ice lolly moulds (100 ml capacity). To make the chocolate coating place a small bowl over a small pan of water, heating gently. Break the chocolate into the bowl and add the oil stirring until melted. Take off the heat and cool down to room temperature. Dip the ice lollies into the chocolate and quickly sprinkle on the sprinkles before the chocolate sets (sets very quickly). Serve immediately or place on grease proof paper and put back in the freezer. 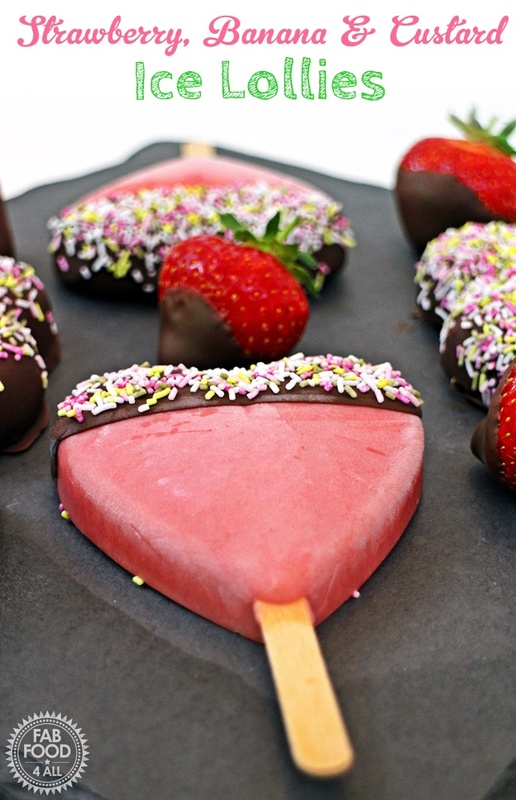 Use the leftover melted chocolate to dip strawberries or any other fruit you happen to have! 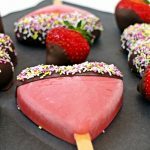 I am entering these popsicles into a few challenges as they were made with leftover custard and seasonally cheap strawberries! 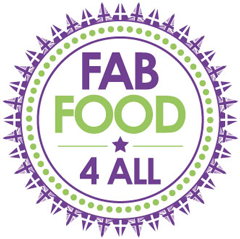 Credit Crunch Munch which I run with Fuss Free Flavours and this month hosted by Lovely Appetite. 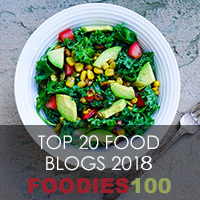 No Waste Food Challenge which is run by Elizabeth’s Kitchen Diary and currently hosted by Utterly Scrummy Food for Families. Bloggers Scream for Ice Cream run by Kavey Eats. Wow, never even considered trying custard in an ice lolly! These are so pretty! And they sound really tasty, too.